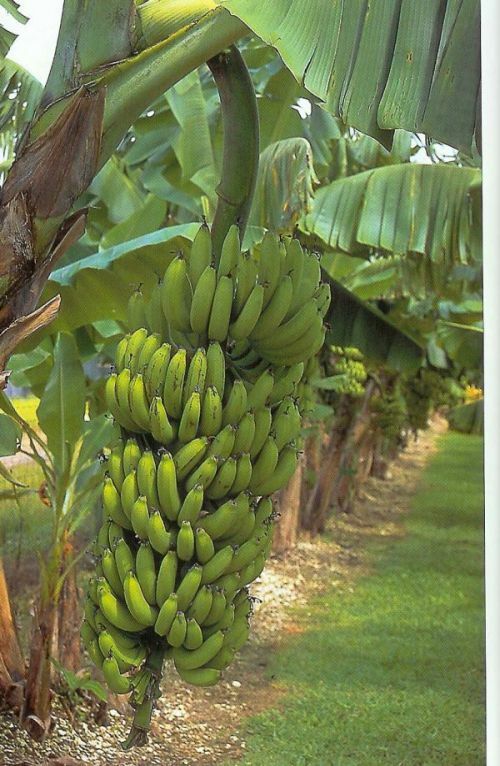 This is a very stout banana that grows up to 8-9'. It produces very large heavy fruit bunches that sometimes needs to be supported. Very flavorful and productive, a heavy bearer.